Huang Jin Gui Oolong Tea is known as Golden Osmanthus in English. 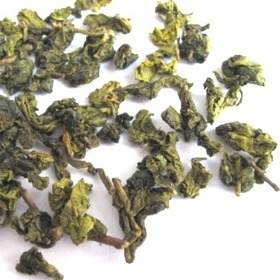 Huang Jin Gui Oolong Tea is special and has a distinct Osmanthus flower-like aroma. Huang Jin Gui Oolong Tea has been awarded the silver medal at the International Oolong Tea Competition in Hanjung. Distinct Osmanthus flower-like aroma or some says an aroma of blossoming lilies. The taste is rich yet complex with a flowery honeysuckle flavor. Long lasting multiple infusions. Curled yellowish green tea leaves. The liquor of this tea is golden yellow. This is an excellent high mountain oolong. Very very smooth with a great floral aroma that is unlike any of the others that Ive had. There is nothing about this tea that I dislike, its one that I will definitely keep in stock.